Welcome a new client or customer. Celebrate a birthday, anniversary or holiday. Remember someone who has passed on. 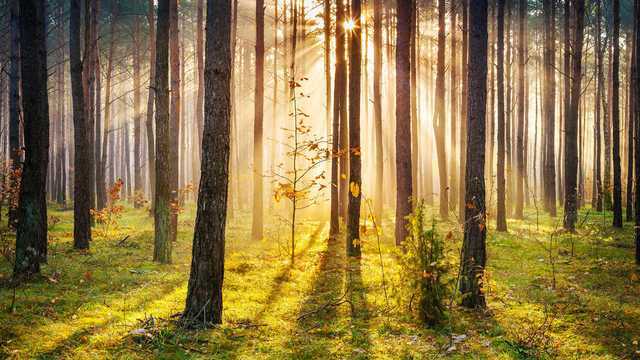 The reasons for planting a tree are limitless, but one thing remains the same. This simple gesture will make a lasting impact. Each Trees in Celebration certificate or Trees in Memory card plants a tree in one of our nation’s forests as a living tribute for years to come. 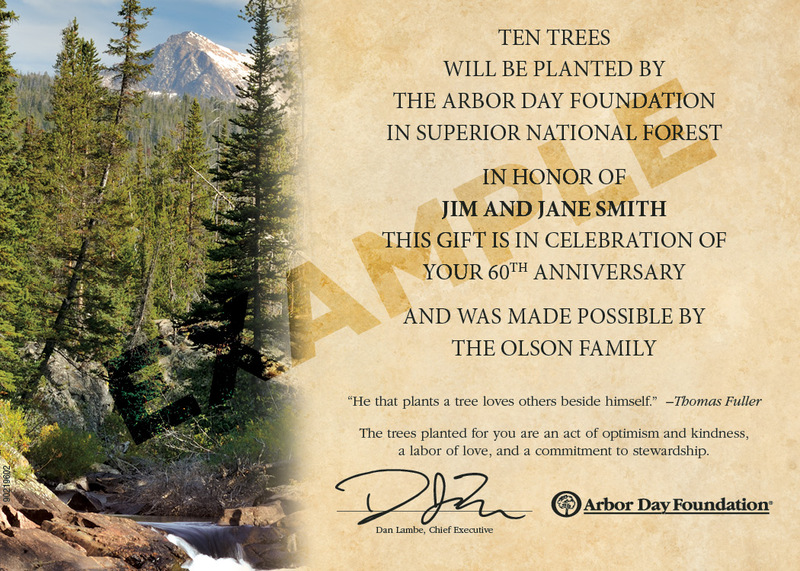 Your tax-deductible purchase includes planting and care for one tree as well as the printing and mailing of a personalized certificate or card. 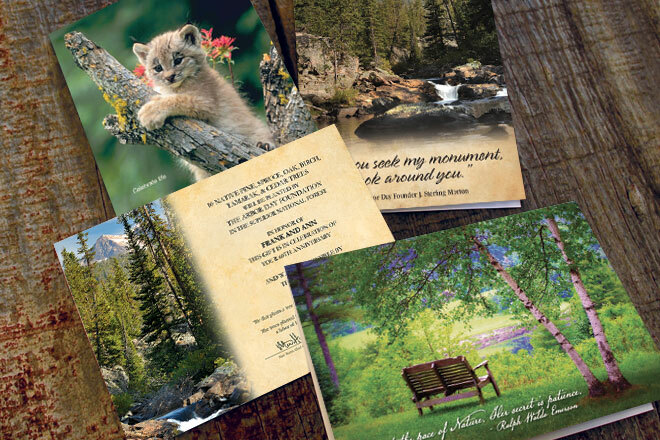 (View a sample) Give-A-Tree cards can also be purchased for $5.95 per card, with quantity discounts available, and will plant a tree in one of our nation’s forests. To make orders easy to manage, we offer free account signup and the option of monthly invoicing or payment by credit card. To place an order, please create an account or log in to the Corporate Gifts Portal. For more information, please call 402-473-9557 or email commemorative@arborday.org.